Financial planners are increasingly tapping into the power of video communication. With videos set to comprise the majority of internet traffic by the early 2020s, this is a welcome trend. Yet promoting your financial videos to prospects and potential clients isn’t always easy. Should you use Facebook Ads? What about Google Ads or display advertising? Emails and newsletters? These are good questions for financial planners to ask. After all, you’ve likely invested a fair amount of time and money into your video(s), so you don’t want it tucked away where no one can see it. At the same time, however, you need a clear plan about how to leverage your video assets within your wider financial marketing strategy. A great way to determine how to use your financial videos is to look at your financial marketing through the AIDA model. This model describes each step of your customer journey from initial Awareness of your brand, through to Interest and Desire – with the ultimate stage being Action. The first stage of any marketing strategy is to make potential clients aware of your brand, what makes it different and what value it offers. This is the Awareness stage of AIDA, and it is a crucial part of the customer journey where you can leverage videos to get your prospects’ attention. Think of the times when you might have used YouTube. The chances are, when you have looked for music videos or other content, a video advert has at some point appeared to promote another product or service. Grammarly is a software solution that is pushing this quite hard at the time of writing, for instance. Whenever we go onto YouTube here at CreativeAdviser, their adverts are always on! A similar thing happens when you scroll through Facebook or LinkedIn. At some point, you are likely to come across a promotional video for a particular brand. Quite often, the video ad shown to you will be placed there based on your personal profile data and your past user behaviour on the platform. These sorts of marketing tactics can also work for financial planners looking to raise awareness of their brand to new, potential clients. For instance, suppose you are a financial planner specialising in financial advice and planning for women – particularly for divorced women. You could set up a Facebook Ads campaign to target a set of video ads towards this particular group of people, to raise awareness of how you can specifically help them. So, financial videos can be a powerful way to grab your prospects’ attention and raise awareness. They can arrest users in their tracks very quickly as they scroll through content, particularly if they have an eye-catching headline or starting image. However, it’s not enough to simply make prospects aware that your brand exists. You need to spark interest in your services and value proposition (the Interest stage), and ultimately get them to crave what you have to offer (the Desire stage) so they are motivated to make an enquiry. 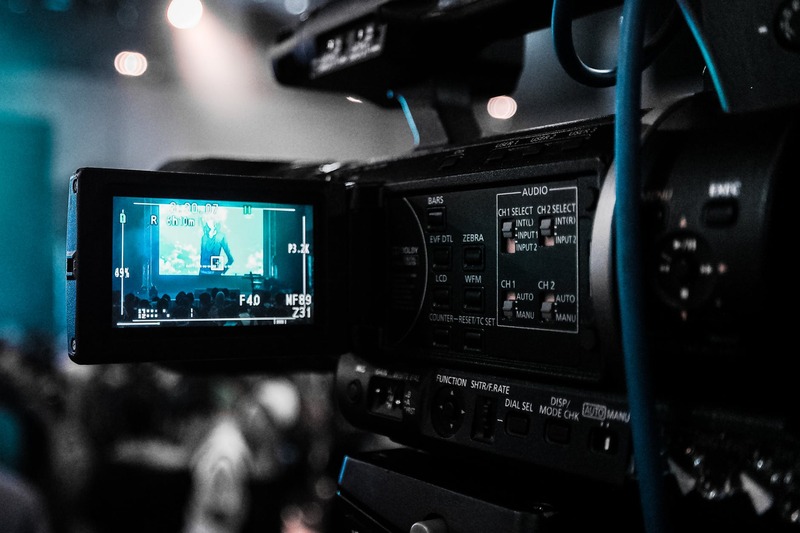 These are often the tricky stages when it comes to financial video production. How do you make financial planning interesting, let alone exciting and alluring enough to make potential clients clamber after what you have to offer? This is no easy task for financial planners, but it is completely possible. One powerful approach is to use stories from existing clients. People love a good story, particularly if it engages their emotions. We recently saw one financial planning firm which had created a video on “getting used to life after being widowed”. It sounds quite depressing and of course, it was a sad topic. Yet it was an amazingly moving video which powerfully engaged the viewers’ emotions with the reality if this particular woman’s situation. She spent the majority of the video talking about the amazing life and memories she had built up with her husband. It was only towards the end of the video that she started to talk about getting everything sorted out with the finances, now that he was gone. It is at this point that you – the viewer – start to realise how important financial planning really is, once it has been set in the context of a real person’s story. It’s great to use a financial video to attract attention and get as far as creating interest and desire. At the end of the day, however, you need your video to produce some kind of action from your viewer. What do you ultimately want your target audience to do as a result of watching your video? For most financial planners, the primary step they want people to take is to book a free financial consultation. That might well be appropriate in some cases. For many people, however, they are not ready for that step. All of us are on a customer journey, regardless of what it is we are looking to buy. For smaller purchases such as buying a snack, that customer journey is relatively short due to the low stakes involved. For those who are thinking about getting advice on their life savings, investments and pension the stakes are higher and there needs to be a strong foundation of trust built up first. To get people to the stage where they are comfortable getting in touch and baring their lives in an initial consultation (even if it is free), you need to build up a lot of trust in your brand. Financial videos are a great way to do this, particularly if they show past success stories from current clients and especially if these stories come from the lips of clients themselves. Think about how this ties into the kind of action you want your prospects to take, off the bat of watching you financial videos. It might be that some of your videos can appropriate invite people to ask for a free consultation. For other videos, however, these might sit better earlier on in a prospect’s customer journey – perhaps inviting them to subscribe to your content or follow you on social media for more valuable insights, tips and information. Over time, as these people become more comfortable and familiar with your brand, that’s the point where they might take the bigger step of booking a meeting.